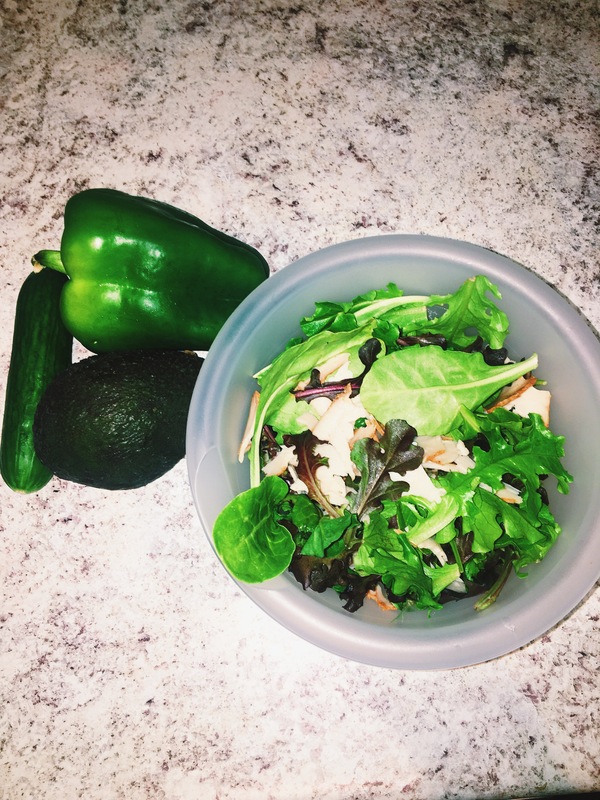 Try It Tuesday | Turkey Avocado Salad. Y’all I have been loving my motivation I have in the mornings before work to pack a HEALTHY lunch. I don’t know where it came from honestly lol. I recently went grocery shopping and only bought healthy foods like fruit, veggies, turkey, salmon… and might have splurged on Smart Food white cheddar popcorn.. (which still isn’t that bad) Anyways.. I just wanted to talk about this one particular lunch/dinner I’ve been loving! 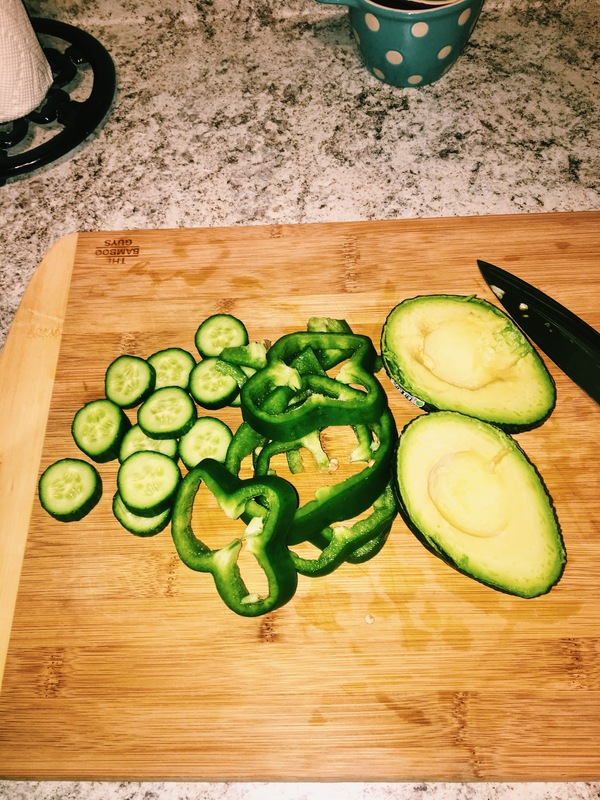 Just put some salad in a bowl and slices of chipotle turkey and then slice the bell pepper, cucumber, and avocado( I leave my avocado in half with skin on so it doesn’t make my salad soggy). Grab some dressing and go! Throughout the day I will eat half of my avocado and save the other half for my meal. It makes a nice snack in between eating. I love food what can I say.. So when I’m getting ready for work I love this lunch and/or dinner idea and its so quick to cut up some veggies and get on your way. I don’t know about you but when I’m late to something it kinda messes with my entire day so I always like to be on time most of the time. This is a very short post today, but I’m just trying to shed some light on healthy meals that don’t take long to make. Let me know what quick healthy lunch/dinner ideas you have so I can try those out as well. One for me was Apples and Peanut butter that a friend recommended and it has been my go to snack ever since! Thanks for reading! Next postThe #1 hot shop in Asheville. Where I spend most of my time. Yes me too they are probably the first thing on my list always when I go grocery shopping. Don’t forget about them! lol I love just eating it plain! Thank you! Definitely try it! I love avocados! This looks really amazing. Usually I am not so keen of putting meat on salads, but I definitely need to try this combination. Turkey is very light and I only add a slice or two for some added flavor. Must try! Thanks for reading girly. Yay! I’m so glad you found this one. Great recipe ! Would’ve never thought of a turkey salad for some reason! But looks great! It is so delicious! Try it sometime! Yummy! Try kale, avocado, cherry tomatoes, artichokes with tahini goddess dressing, or simple balsamic vinegar. YUM! I will. Thank you!! !